The S2F "Stoof" was a carrier based ASW aircraft (It also came in a C1 COD version for cargo and passenger carrying.) The Navy replaced it later with the Lockheed S3A and the S2Fs were relegated to the multi-engine training command pipeline, replacing the SNB. When I checked in to NAS Corpus Christi in January 1958, massive changes were underway. Not only was the O&R performing heavy maintenance on a variety of aircraft and ATU 601 had a ton of F9F-8Ts, but NAS Olathe KS closed and the P2Vs transferred to Corpus along with the A1s from Cabiness Field. All the SNBs disappeared and a couple of squadrons of S2Fs arrived for multi-engine training. P5Ms were doing the Nav Training for the VP(S) students. CDR Bill Faulkenberry was the CG Liaison there and asked HQ if the CG students were to follow the syllabus which included carrier quals - the answer was affirmative. Navy LTJG Al Johnson and I were in the first class on the S2F and after check-rides were told essentially to get 80+ hours of airways instrument time - Go anywhere you wanted. We did. We also had one week of FCLPs at Alice Orange Grove using the mirror system, and were ready for hitting the "boat", the USS Lexington. She had a casualty on the way over from Pensacola, and we missed that. Drat! The true seaplane may have been the one-time answer to long range oceanic patrols and search, and theoretically could operate from almost any body of water. But it was no easy task to launch or retrieve it. A small army of men, tractors, small boats with lots of "pudding" around them were carefully choreographed to keep the bird on the straight and narrow going up and down the ramp. "Making the buoy" on return was always fun. I never flew the CG version, but sat at the navigator's table for 80 hours of offshore navigation at the very end of USN flight training. 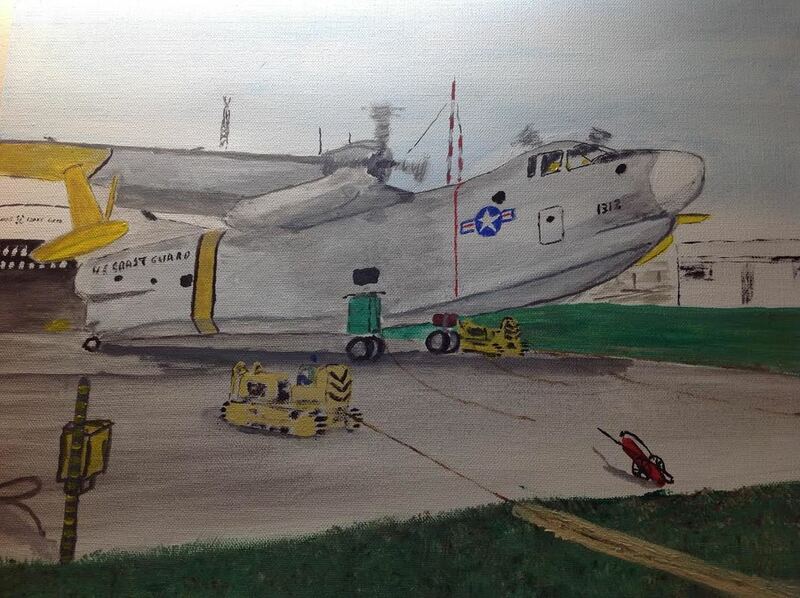 You are right - this not a Coast Guard R5D, but depicts the configuration of CGNR 9147 on my first trip to Europe in 1959. 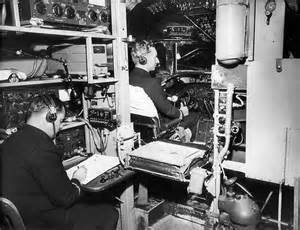 ATC Linneman was our radio operator (yes, he used a speed key), I was on the Nav Table (note driftmeter - next to useless most of flight at night in soup at 8,000 ft), ADI Sutton in the jump seat, CDR Dave Bates in the left seat, LCDR Chris Weitzel in the right. Cozy . Crew rest not considered as we flew from WANAP to Argentia, and then to London, far exceeding what today is considered legal. Over pond positions: One pilot in left seat, crew chief in right, pilot on Nav bench, third pilot in lower bunk, second crew chief in top bunk. 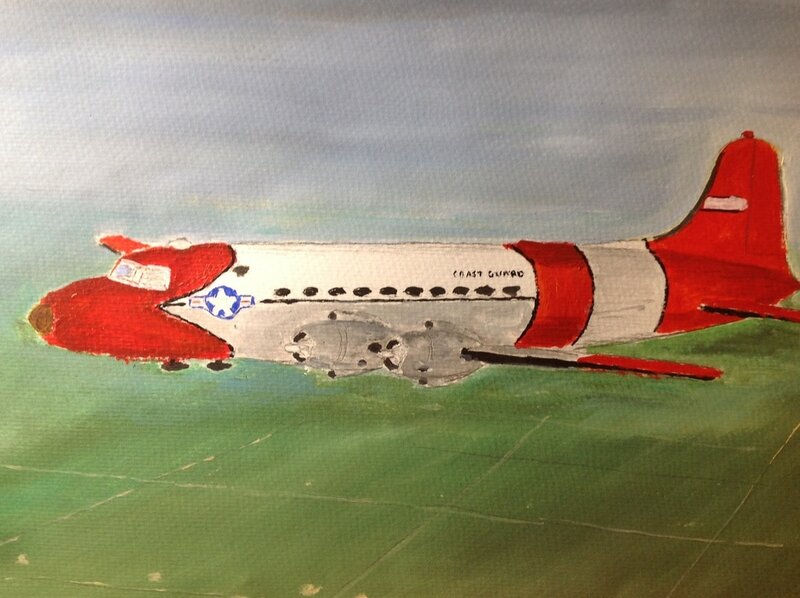 Coast Guard aircraft underwent a series of paint scheme changes in the post WWII years. 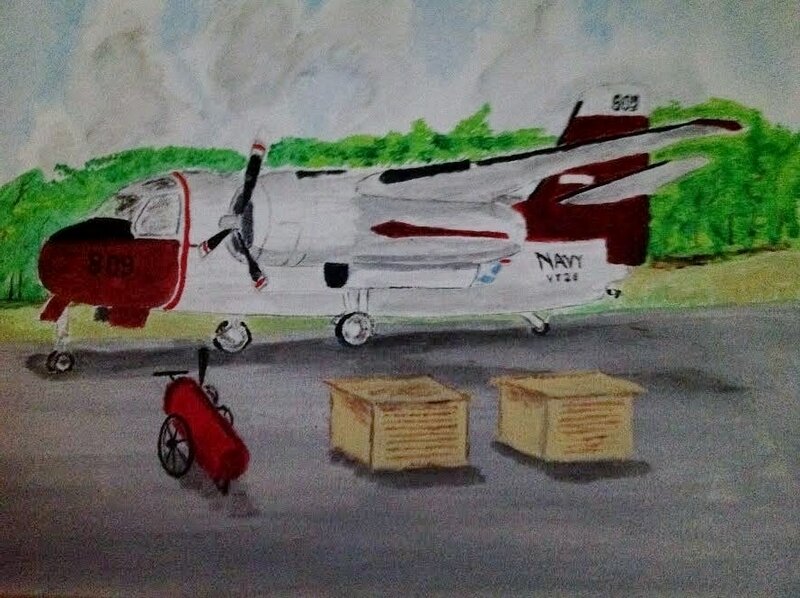 CGNR 9147, the old secretary of Treasury's aircraft, later the Commandant's, was stationed at Elizabeth City as the hangar at WANAP was too small. It originally was un-painted aluminum with "United states Coast Guard" above windows, and eventually ended its last days in this scheme. Comfortable old bird, especially if you had matriculated from the R4D/DC-3. Same heavy controls, no reverse and unpressurized. And the windshields leaked in your lap in heavy rain.